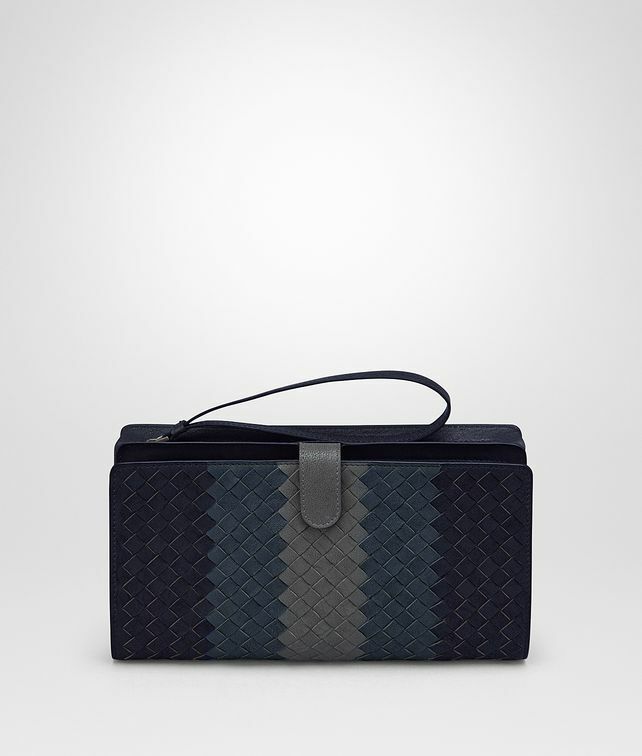 This elegant document case is crafted from calf leather in three rich colors, hand-woven to create a seamless color block motif. Featuring six card slots, an internal zip pocket, and a long zipper pull. Height: 12.5 cm | 4.9"